Any stroll around Tokyo’s venerated Chiyoda and Marunouchi district should include a visit to Tokyo Station and its red brick facade, and the adjacent stone-white Kitte Building. Kitte can be translated as ‘postage stamp’, a subtle nod to the building’s heritage as the former Central Tokyo Post Office. And if you’re so inclined, ‘Kitte’ (not Hello Kitty) also means ‘come’ in Japanese. Upon arrival, it's clear that the strategy behind the meticulous preservation and strategic rebranding of the building (first opened in 1933) is nothing sort of genius, speaking volumes about the centrality of good and thoughtful design in Japanese culture and society. It seems apt that a country that is laser-focused on perfecting function and form takes seriously the importance of making good use out of its buildings. 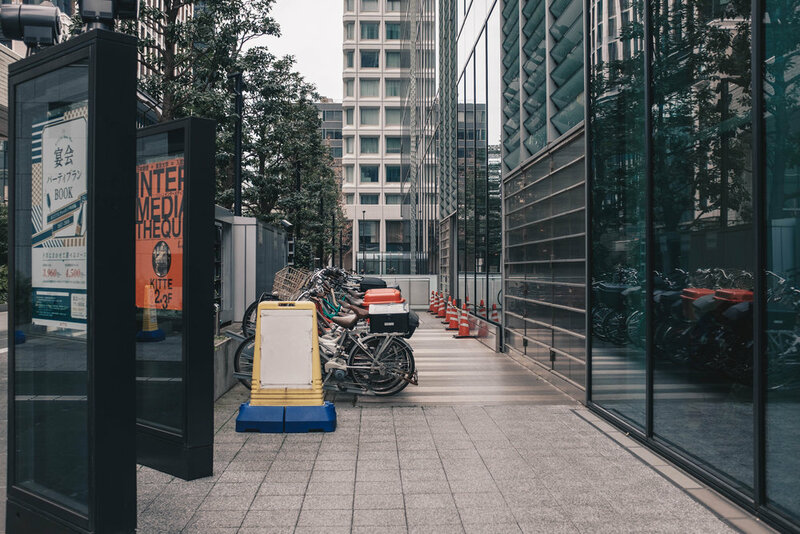 To this end, Kitte Tokyo acts as a proving ground for modern Japanese design (both retail products and concepts), hosting many independent retail establishments alongside many of the city’s cherished restaurants (time to take up that Eat Tokyo challenge. Its also one of the nicest shopping malls in Japan - a tall order to live up to. From small shops stocking well-made everyday items to design heavyweights like Issey Miyake, the vision and place of Kitte in Tokyo is masterful. In that vein, planners also did not forget the building’s past life as the building has a small gallery showcasing items and pictures of the Central Post Office of Japan, including descriptions and photographs of the people who had kept it going. The top floor of the building also apparently has a terrace area with a great view of Tokyo Station and the trains that call there. In this article we’ll be highlighting three of the more unique stores that can be found in the building but if you’re visiting, be sure to check out the other stores as well! The Japanese have been celebrating good design concepts and items for the past 60 years, rewarding artists who create products that may seem simple at first glance but have been reimagined to refine their practical applications - or are simply better designed. But what’s the use of only seeing them online? Well, the Good Design Store is here to the rescue - housing (and selling) the various laureates of awards from years past. The store is subdivided into various sections catering to whatever hobby you may have and also stocks accessories for your dining or living room needs. The aptly named ‘Front Garden’ (located just at the storefront) showcases the store’s most popular (and aesthetically pleasing) goods. From simple drinking glasses to a really complicated tea-brewing contraption, the diversity of products isn’t lacking and neither is the thoughtfulness that goes into each product. Head further into the store and you'll find products grouped together according to their purpose and how they fit into the everyday life of an urbanite. As the products on offer are the shining exemplars of design, the store’s bare bones and simple displays are meant to draw in curious passersby and perhaps focus attention on the products themselves. They are, after all, award-winning. Though Floyd occupies a small footprint in Kitte, that isn’t at all descriptive of its ambitious mission. 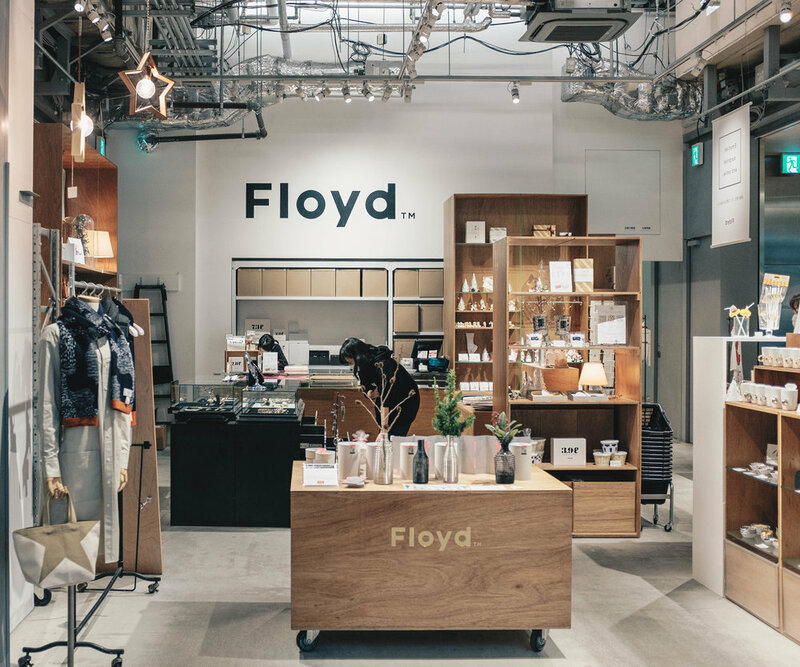 Located next to the Good Design Store, Floyd’s retail approach seems to centre on promoting the use of well-designed everyday items as a way of prioritising the simple joys of having well-designed everyday goods over the mass consumption of badly designed products. The interior of the store is structured along simple design principles that privilege the use of clean compartments each housing a specific set of products, while the overarching theme seems to focus on daily household items like hand towels, trays and toothpaste. However, apart from these core products, a part of the store is dedicated to a rotating line of products from other retailers and brands. Though its selection may be smaller than the Good Design Store, Floyd does have on sale, affordable (yet still well appointed) goods and accessories. I'd recommend it to anyone who's looking for a gift or for someone who wants to freshen up some of their household items. Angers Bureau stocks a healthy collection of everyday stationery - its perfect for the post office building its in! Good design is extremely important and relevant for the stationery industry and Angers Bureau is setting the pace with its flagship store in Kitte. From Caran Dache pens to Lechturm notebooks, Angers seems to have an excellent curatorial eye when it comes to showcasing what the world has to offer to stationery enthusiasts. With a healthy compendium of paper products, diaries and planners. Angers is a must visit for anyone who has experienced the joy of good quality stationery, and is hungry for more. The store is also a great place to source out gifts or souvenirs. I would’ve gotten my notebook and planner fix here if I hadn’t bought one already from Tsutaya. The store also has an extensive (and quickly refreshed) range of accessories from minimalist watches to beautiful glass encased flower paperweights, as well as my personal favourite - a really well-designed calculator from Braun. Kitte (opened recently in 2013) is simply a designer’s heaven, housing well-designed products that border on being veritable eye candy. It's indeed very encouraging to find that in this day and age, there are still people interested in well-designed products. 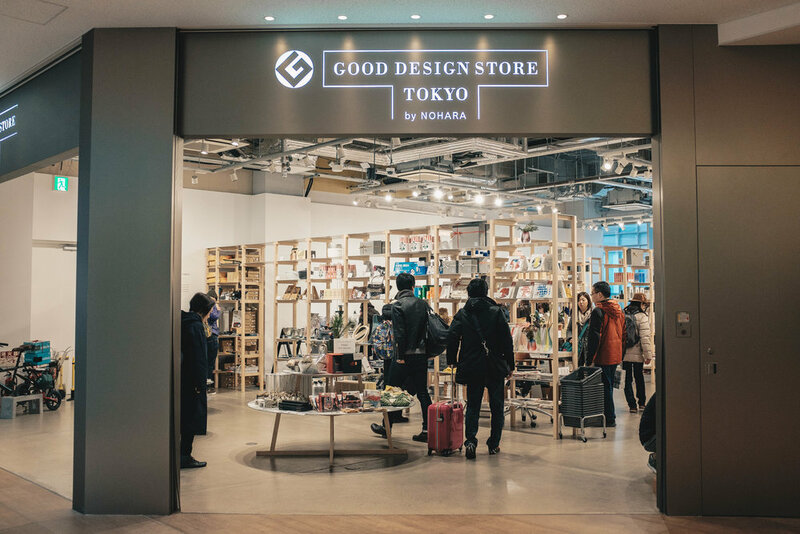 Take a trip down and experience the Japanese love for quality products and their eye for good design and functional products. Apart from Kitte's design-focused stores, the upper floors of the building house restaurants representing the wide variety of Japanese cuisine across all of its cities, no matter whether your preference is for washoku or yoshoku. The basement also has some unique shops selling treats and sweets that, in some way or another, all contain that unique Japanese flair for flavour. As someone who has slowly developed a special appreciation for product design, this visit to Kitte really highlights the pivotal role this plays in our everyday lives. Highly recommended.